In your cabin bags, please only pack the things you might need throughout your journey and items which cannot be transported in checked baggage, such as valuables, important documents and medication. You will make boarding and disembarking the aircraft easier for yourself and your co-travellers. Such as a handbag, briefcase, laptop bag, a bag with Duty Free purchases, etc. Please note that the size and number of cabin bags are checked by the handling staff at gates before boarding. Therefore, please ensure your cabin bags do not exceed the maximum number and sizes, i.e. the length of 55cm, the width of 45cm and the depth of 25cm including handles, side pockets and wheels. Place all additional items inside your cabin bag or small personal item. Cabin baggage and small personal items that exceed the maximum permitted amount, size and/or weight will be transported as checked baggage for a fee in the aircraft cargo hold. All cabin bags go into the overhead lockers, while small personal items are stored under the seat in front of you. The storage capacity is limited. Once it is full and we have no space on board, for safety reasons, we will need to check in your cabin bag or small personal item to the aircraft hold, even if you have not exceeded your baggage allowance, and transport it free of charge. The highest fee is charged at the gates. It is only possible to pay by credit cards at the gates. Payments in cash are only possible at the nearest desk which accepts cash payments. If the passenger misses the flight, we are not responsible for extra rebooking costs. If the passenger is unable to pay the fee, we are authorised to exclude them from transport. Infants travelling on an adult’s lap may not travel with their own cabin baggage. Children with a reserved seat may bring on board cabin baggage as per the conditions of the price package under which their ticket has been purchased (same as adults). Additional information is available under the Travelling with Children section. Please ensure that no prohibited items are packed in your cabin baggage. Information regarding the transport of liquids on board are available under the Liquids in Cabin Baggage section. Please review your checked baggage allowance. 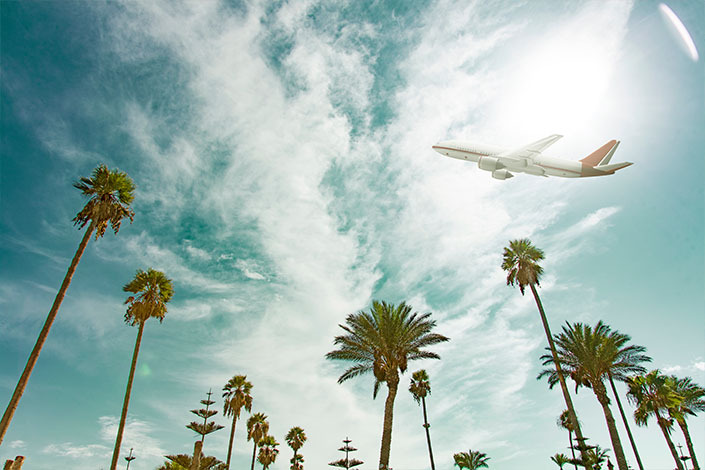 If you already have a booking with us, your checked baggage allowance is listed there. You can also check it online via the MY BOOKINGS application on our website. For technical reasons, it is not possible to check pieces of baggage in excess of 32kg and/or 250cm in combined length, width and height, including handles, side pockets and wheels. The conditions of the price package under which you have purchased your ticket and your travel class dictate the checked baggage allowance on Czech Airlines operated flights. Checked baggage transported under the cheapest, LITE, package is subject to a fee. * You can join the OK Plus frequent flyer programme here. The same benefits can be enjoyed by SkyTeam Elite and SkyTeam Elite Plus card holders with tickets for Czech Airlines’ flights issued by SkyTeam Alliance member airlines. It is not possible to combine the checked baggage weight. The weight limit applies to each checked bag. Baggage that exceeds the maximum limits will be transported for a fee. Children with a reserved seat enjoy the same checked baggage allowance as adults. Additional information is available under the Travelling with Children section. Which items should not be packed in checked baggage? The above-listed items may only be transported in cabin baggage or as Valuable and Fragile Items. If your flight is operated by and airline other than Czech Airlines, the checked baggage transport rules may vary. Please contact the ticketing agent or the operating carrier for additional information regarding checked baggage allowance on your flight. 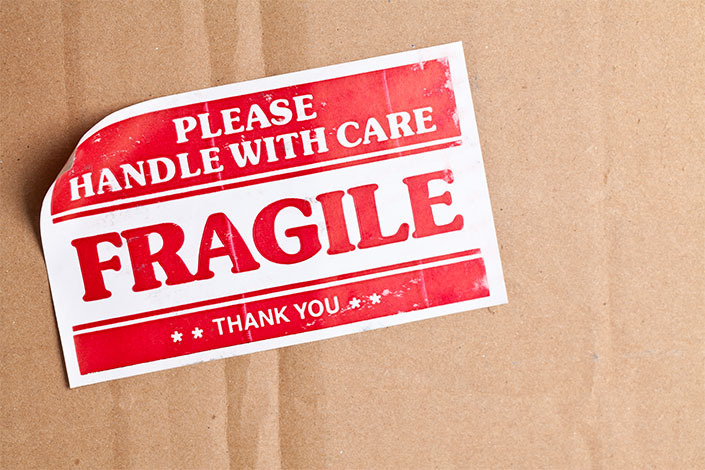 Please request transport of valuable and fragile items ahead of time via our Contact Centre. Additional information regarding such transport is provided under the Valuable and Fragile Items section. ** The listed prices are for payments made via Czech Airlines’ website during ticket purchase or using the MY BOOKINGS application. Prices may vary if extra weight charges are paid through the Contact Centre, ticketing offices and ticketing agents. on condition that payments are made at least 36 hours before departure. For technical reasons, no checked baggage may exceed the weight of 32kg and/or the size of 250cm in combined length, width and height, including handles, side pockets and wheels. Every passenger may buy the transport of 3 extra checked bags, including overweight of each extra bag, using our website. If you need us to transport more bags for you, please reach out to our Contact Centre. 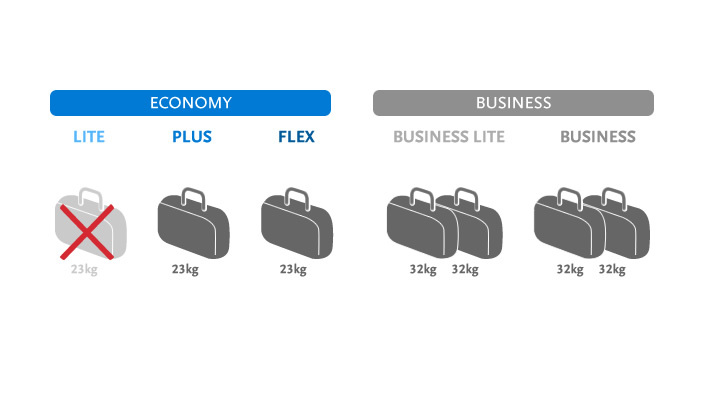 Extra and overweight baggage transport charges are non-refundable if purchased together with non-refundable tickets. If your flight is operated by an airline other than Czech Airlines, the extra and overweight baggage transport rules may vary. Please contact the ticketing agent or the operating carrier for additional information regarding extra and overweight baggage transport on your flight. 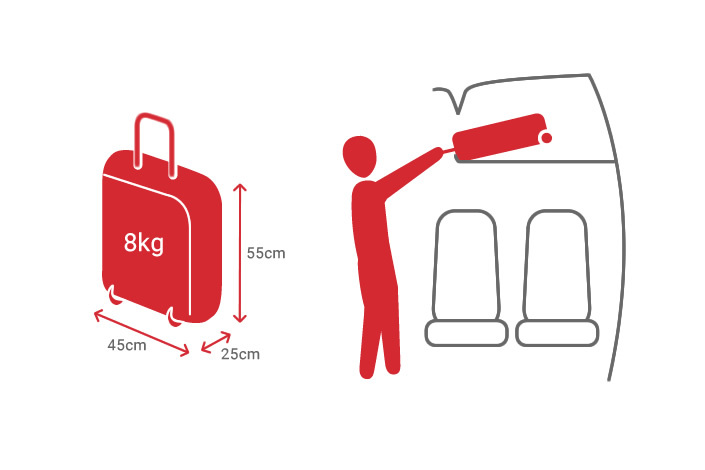 If technically possible, overweight and oversize baggage - in excess of 32 kg and/or 250cm in combined length, width and height, including handles, side pockets and wheels, will be transported as cargo for a fee. You can transport musical instruments, works of art, and valuable and fragile items as cabin baggage within your free allowance. If the item exceeds the weight and/or size cabin baggage limits, we will transport it in passenger cabin on the seat next to you subject to the below-listed conditions. Please request transport of valuable and fragile items ahead of time via our Contact Centre or through your ticketing agent, but at a minimum 24 hours before departure. A charge, equal to the adult ticket price without airport charges, is collected for transport of valuable and fragile items on a separate seat. Heavier and/or large items which cannot be transported in passenger cabin can be shipped as cargo for a fee. Valuable and fragile items transported on a separate seat must be packed in protective packing and their transport must be confirmed together with your seat confirmation. To book the transport, we will require the exact weight and sizes of the transported item. 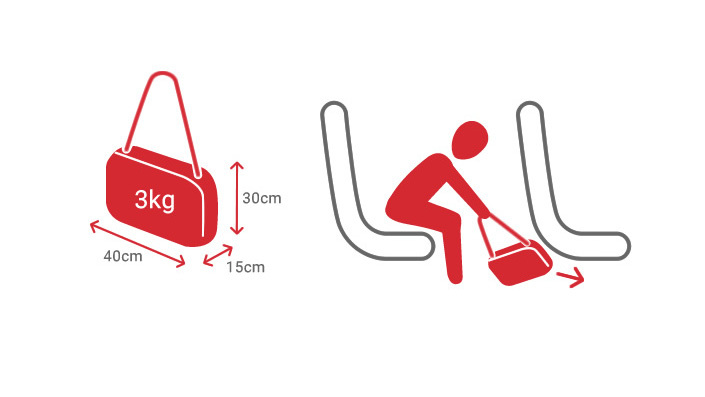 With regard to passenger safety, valuable and fragile items transport is limited as follows: the maximum weight must not exceed 20kg and the maximum sizes must not exceed 42 x 41 x 80cm with the exception of musical instruments where the maximum sizes must not exceed 49 x 35 x 135cm. If your flight is operated by an airline other than Czech Airlines, the transport rules of valuable and fragile items may vary. Please contact the ticketing agent or the operating carrier for additional information. We need to reserve space for sports equipment transport in the aircraft hold. 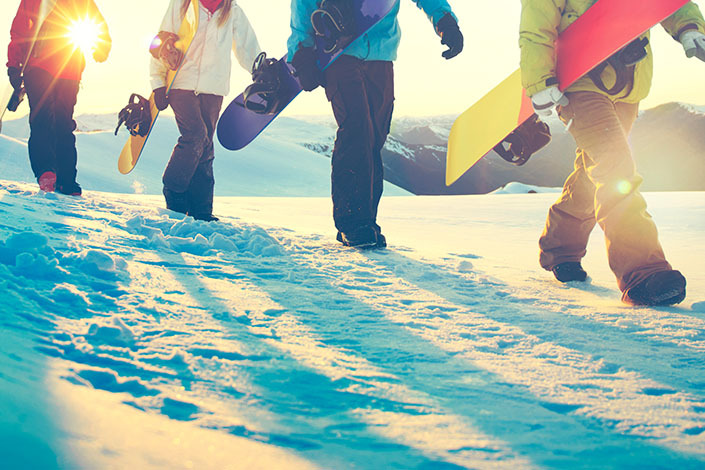 Please book sports equipment transport ahead of time, ideally with the ticket purchase, via our Contact Centre, through our ticketing offices or your ticketing agent, and do so at the latest 48 hours prior to the departure. Sports equipment is not included in the free checked baggage allowance. A fee of EUR 59/CZK1,530 is paid for each piece of the sports equipment and for each direction of its transport. Some sports equipment must be handled at the oversize baggage counter for its size. Please follow the instructions of the handling agents. If your flight is operated by an airline other than Czech Airlines, , the sports equipment transport rules may vary. Please contact the ticketing agent or the operating carrier for additional information. For technical reasons, it is not possible to handle sports equipment in excess of the 32kg weight limit and/or 250cm size limit (the sum total of its length, width and height including handles, side pockets and wheels). If technically possible, such equipment will be transported as cargo consignments for a fee. You may have purchased a Czech Airlines ticket (Czech Airlines is a marketing carrier) for a flight which will be operated by a carrier other than Czech Airlines or for a flight where particular segments will be operated by an airline other than Czech Airlines. In such cases, the conditions of carriage and baggage transport allowance may vary. Please contact the ticketing agent or the operating carrier for additional information.